challenges. Transformative scenario planning is a powerful way for actors from across a whole system to work together to transform that system. It is a way for them to get unstuck and to move forward on solving their tough problems.Transformative scenario planning goes far beyond conventional, adaptive scenario planning, Often people find themselves in systems that are complex, conflictual, not working, and stuck. In such systems, people need a methodology not simply for adapting to the system but also for creating new, better futures. Transformative scenario planning is a way that people can work together with others to transform themselves and their relationships with one another, and thereby to transform their systems. 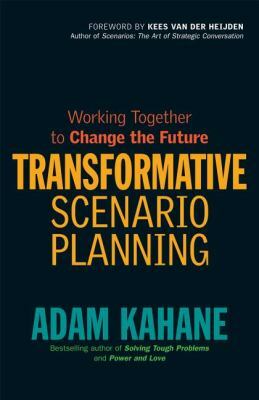 In this simple and practical book, Adam Kahane explains this methodology and how to use it. role. He specializes in scenario planning, strategic change and institutional strategic management processes, and has consulted widely in these areas.